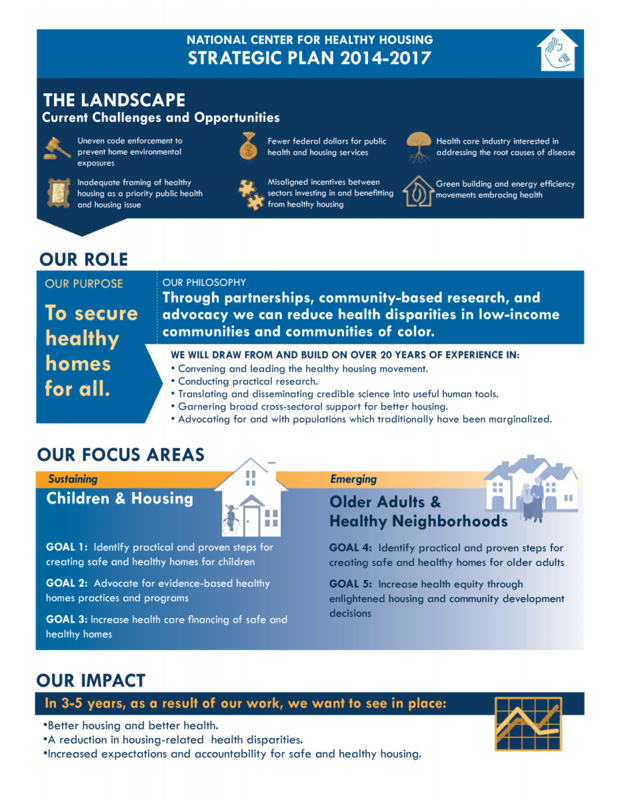 The National Center for Healthy Housing’s mission is to secure healthy homes for all. Through partnerships, community-based research, and advocacy, we can reduce health disparities by translating credible science into tools and catalyzing systems change in low-income communities. Click here to open a PDF of the 2014-2018 strategic plan.